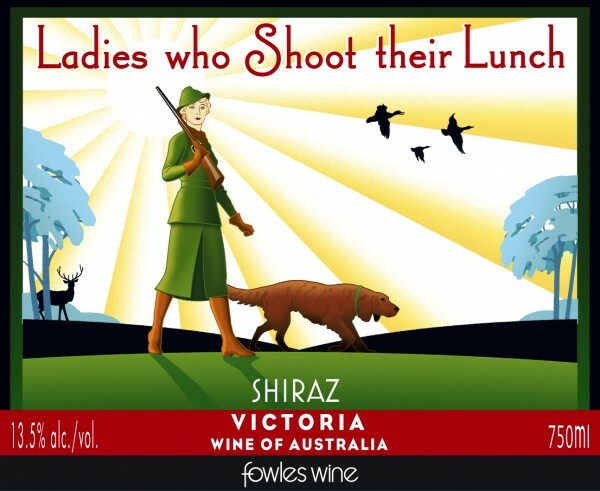 Fowles Wine vineyards and winery are located in the dramatic granite landscape of Strathbogie Ranges region of Victoria, Australia. The Strathbogie Ranges is characterized by massive granite boulders – the very boulders that have given rise, over millions of years, to the sandy loam soils in which the vines grow. The majority of fruit (95%) for this wine comes from the Fowles’ family Upton Run Vineyard situated high in the Strathbogie Ranges, all at over 1,600 feet elevation. The three Upton Run blocks used 6, 7, and 11 were all planted in the mid-90’s in sandy loam over granite. The remainder (5%) was sourced from Mt Helen Vineyard. In the vineyard, mechanical weeding took place to eliminate the use of undervine sprays and the vines were irrigated using a Regulated Deficit Irrigation technique to ensure concentration of fruit. The fruit for this wine was harvested during the day on March 16, 18 and 19 2015. This wine was fermented at around 75°F in sweep-arm fermenters to maximize color and flavor. The winery chose to ferment this wine in stainless steel tanks to preserve primary fruit flavors. This wine was matured 12 months using a combination new and old, and large and small, English and French oak. One quarter of the wine was matured in 140 year old 5,000 liter English oak casks and two 6,000 liter French oak casks. One quarter was matured in one, two and three year old French oak puncheons. The balance was maintained as a fresh, fruity parcel in stainless steel. Vintage Comments: The vintage of 2015 was a year with warm growing conditions producing red wines of intense color and flavor.